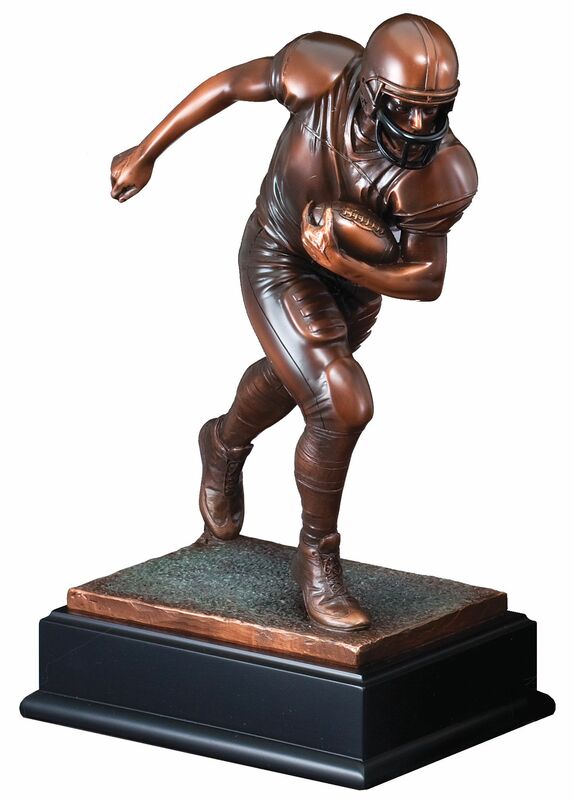 This Large bronze tone football runner trophy stands 13 inches tall, and includes an engraved plate with your customized information. This trophy can have a side plate for a "Hall Of Champions" listing all of your leagues previous winners. This trophy will have the Small Hall of Champions plate. The extra side plate costs $6. We will hold your information on file so you can reorder an updated plate each year. You can add a Hall Of Champions side plate to this trophy on the page after you add this to your cart. 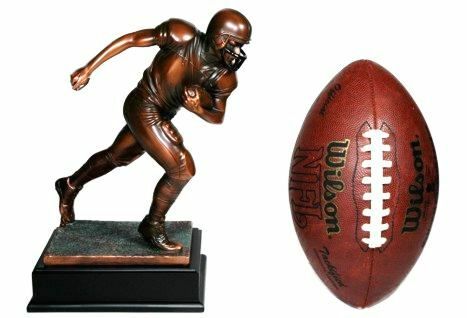 For a size comparison the picture below shows this trophy standing next to a regulation size football.